Synopsis: Eric Perry is Lewis Creek’s resident bad boy. When he’s named the new starting pitcher in a town that thinks baseball is everything and he is nothing but trouble, Eric knows he has to clean up his act. Lay low, his coach tells him—at least long enough to actually pitch a game. But when a fight with his teammate lands him in jail yet again, his season may be over before it starts…until his next door neighbor, Bri, comes to the rescue. Making a deal with Eric’s coach, she offers him one final chance at redemption: community service. Buy Links and Goodreads Link – Please note these links are for PLAY ON. 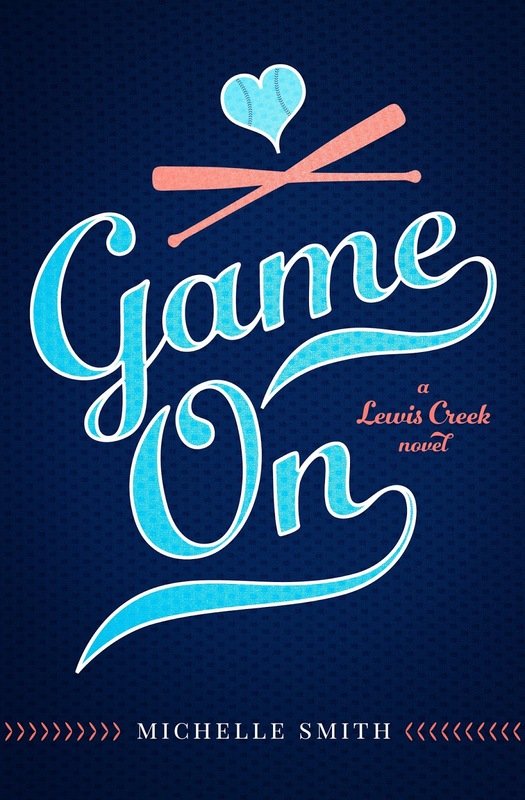 We do not have a Goodreads page or pre-order links for GAME ON yet. A Goodreads page will be created Monday, if you’d like to switch the link out then. I’ve been blogging for just over 2 years and had my 2 year blogoversary in March! I can’t believe how fast the time has gone and how much has changed over the 2 years! John Green is an absolute favourite of mine, as I’m sure he is for lots of other people too! James Patterson is my favourite Crime author. His books are what made me love Crime novels. Cecelia Ahern is a beautiful writer and I absolutely love her books. Her stories emit so much wisdom which is incredible, considering how young she is. Markus Zusak is another favourite. 3. What is the name of your blog? Jenny in Neverland. I really like my blog name; it’s a name I’ve always used for emails and usernames for years (like since I was about 13) because of how much I love Disney and Peter Pan. When I came to think up my blog name, it just made sense! 4. If you could meet any author who would it be? Ooh I think I’d meet John Green. Not just because he’s my favourite author but because he seems like such a genuine lovely guy who adores his fans, and that’s always something you want in an author. I reckon he’d be a right laugh to spend the day with! 5. What is your favorite fandom? Eeek, I don’t think I really belong in any ‘fandoms’. Please don’t hate me! I like Harry Potter a lot but I wouldn’t say I love it enough to be in the fandom. 6. What is your all time favorite book? I have a few; The Book Thief is the most beautiful book I’ve ever read in my life. Paper Towns and Looking for Alaska by John Green are another 2 favourites and so is The Perks of Being a Wallflower by Stephen Chbosky. I’ve read that 3 times and that book has so much meaning to me. I’m a pretty big YA fan and although I love most genres, YA books are those that seem to stick with me. THE DARKEST CORNERS is about two estranged childhood friends who are forced back together when one’s father dies in prison. Now eighteen, they’re forced to confront what really happened one summer night when they were kids and witnessed something that helped put a serial killer behind bars. 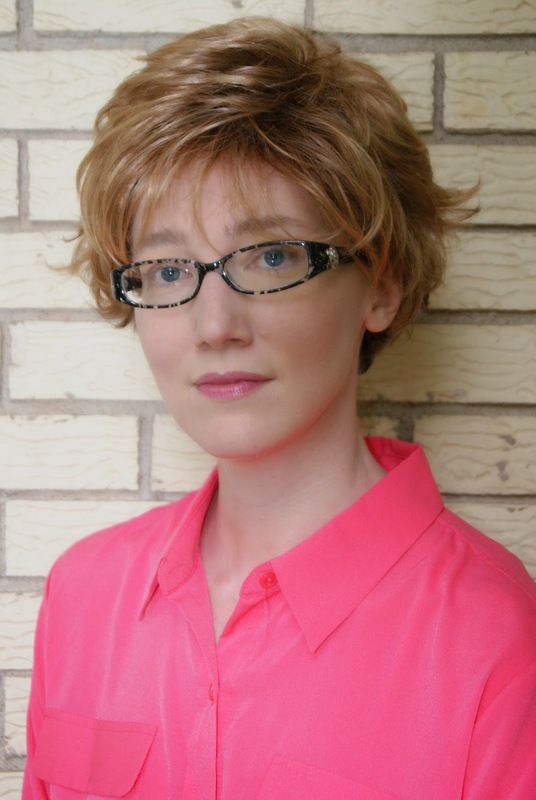 It was inspired by The West Memphis 3 case and Gillian Flynn’s DARK PLACES. Tessa really just popped into my head. I was very inspired by the West Memphis 3 case and witnesses who told stories that didn’t add up in court. I was fascinated by the idea of false memory syndrome, but then I started to think of motivations for lying, and Tessa grew from there. She’s deeply conflicted, but also damaged, because a lot of ways, she’s alone in the world. A little bit of both. I usually just start writing, but when I get to the third chapter, I usually have to stop and outline the nuts and bolts of the mystery before I continue. Silence! No music, TV, husband being loud. I’m weird like that. Yes! It’ll be out from Delacorte in 2017, title TBT. All I can say about it for now is that it involves an online horror community and toxic friendships. 1. Can you tell us a little about your book? And here are a few things this story contains that I love: a handsome boy with a mysterious past, kissing, an old woman who might be a witch, lots of Manx culture and mythology, sea monsters, sisters, and kissing. Did I mention the kissing already? 😉 Oh good. Just so you know, this book has plenty of brooding sea atmosphere and danger, but it’s most definitely a kissing book, too! 2. Is it a part of a series or a standalone book? FEAR is a standalone book; however, I’m hoping for/planning a companion novel in the future, which would feature one of Bridey’s sisters as the main character, and would focus on a different aspect of the Isle of Man’s fascinating mythology. 3. Are you a plotter or do you just write whatever is in your head? Before I dive into actually drafting a story, I have to have a solid concept, have written a pitch and mini-synopsis, and know how the book will end. I don’t follow a very rigid outline (that takes the fun out of getting to know my characters, I think) but I’ll still say I’m a plotter because I do need to have a lot figured out before I write! 4. When writing do you need silence or do you prefer to have background noise like music? I need silence, definitely. But I like to listen to music before I write—to establish a certain mood for a scene! If I listen to music while I’m writing, I get too distracted and just want to dance or sing along! With FEAR in particular, I listened to a lot of Méav Ní Mhaolchatha’s album Silver Sea, which is partly in Gaelic, partly in English, and a little French in the mix, too; it helped establish a perfect mood for windswept, mysterious island town where my characters live. 5. Is there a person(s) that inspired your main character? Nope! Bridey is purely a product of my imagination, but I love her to pieces. However, her fear of the ocean was partly inspired by my friend Erin, who hates swimming and is afraid of drowning—traits that seemed so fitting in my story. 6. Are you working on your next book? Most definitely! I’m happiest when I’m writing some sort of fantasy. I won’t say too much, but here are a few things that feature in my recent YA epic fantasy: sisters, witches, mythical beasts, Japanese mythology, and diversity. 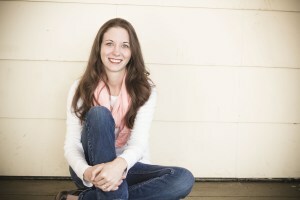 Sarah Glenn Marsh is a young adult and picture book author. Her YA historical fantasy debut, FEAR THE DROWNING DEEP, will be released by Sky Pony in September 2016. 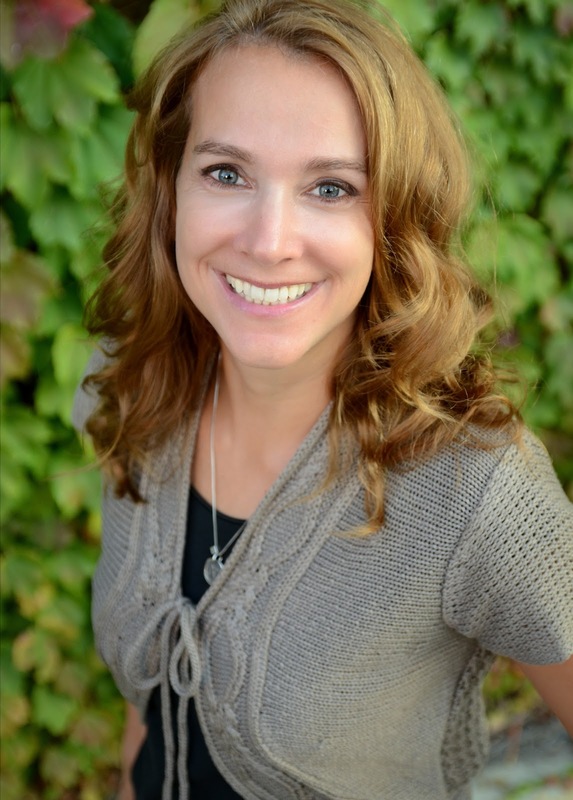 She is represented by Christa Heschke of McIntosh & Otis Literary Agency. 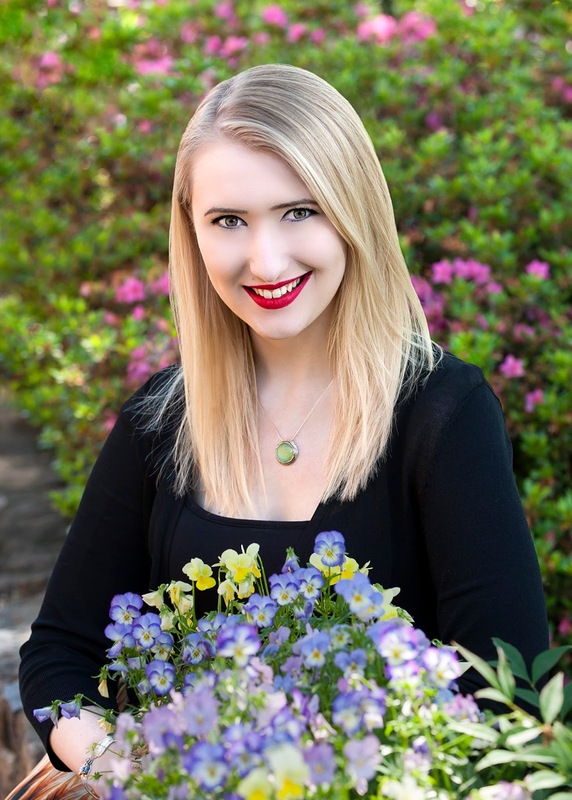 Sarah lives in Richmond, VA with her husband and four rescued greyhounds, and when she’s not writing, she can often be found painting or antiquing. 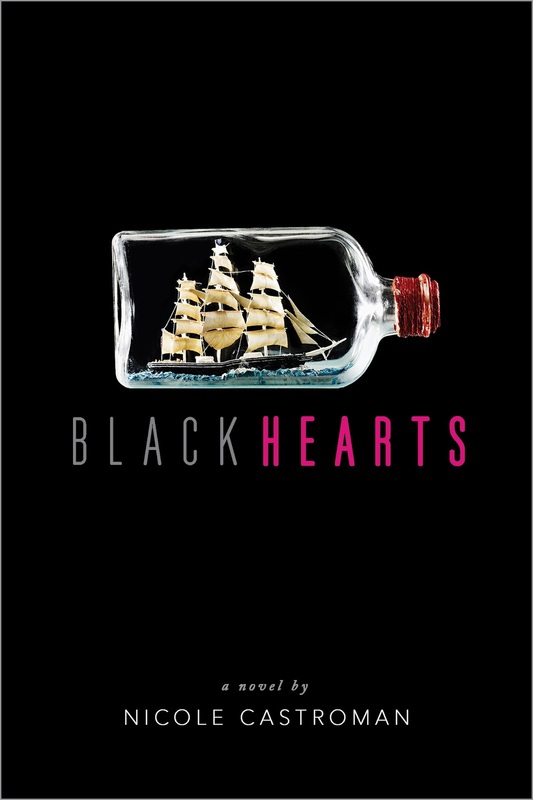 My debut novel, BLACKHEARTS, is a Blackbeard origin story, or pre-pirate. It’s my idea of what led him to become one of the most notorious pirates to sail the seas. At the moment, it is a standalone. One of my main characters was obviously inspired by Blackbeard. Only the last two years of his life are known or documented. Blackbeard could read and write, which meant he was educated. It’s believed he came from Bristol, England. I took whatever information I could find and deconstructed it to create my own story of his early life. I’m not really a plotter. I don’t write down my story, but I DO know how I want it to end. Then I write towards that goal, allowing the characters to take me there. I do require silence when I’m writing, but it doesn’t mean I always get it. 🙂 I’m a mother of two, so I’ve learned how to write around interruptions. But no, I don’t have music playing in the background. That would be too distracting for me. However, I do like to have each story I write have a “theme song” and will listen to that before I begin. I am writing my next book. I can’t share what it is quite yet, but hopefully soon. Born in Sandy, Utah, Nicole was lucky enough to come with her very own best friend…she has a twin sister who can read her mind and finish her sentences for her. What songs would the characters of FERAL have on repeat? You know, that’s such an interesting question. 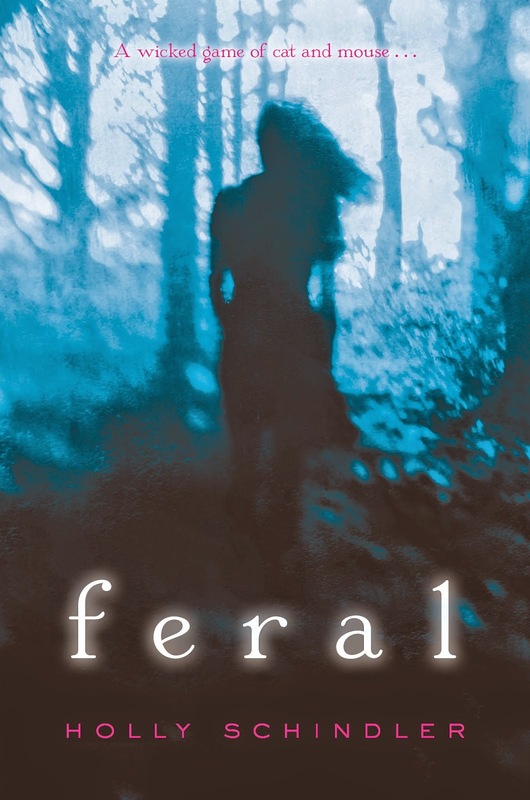 FERAL is a psychological thriller, but like psychological thrillers, the book borrows from other genres: horror’s one of them. I think one of the most important components of horror is isolation. You’ve got to be alone to be vulnerable. And that’s tough, in contemporary life—modern technology has ensured that someone is always within reach. One way I gave the book a feeling of isolation was through sounds. a brutal beating in Chicago. So when her father is offered a job in another state, Claire is hopeful that getting out will offer her a way to start anew. FERAL falls squarely into the realm of the classic psychological thriller. While the book features mystery, horror, and paranormal elements, the emphasis is on the “psychological” rather than thriller / action. The novel features a Hitchcockian pace and focus on character development (here, we’re exploring the inner workings of the main character, Claire Cain). Essentially, every aspect of FERAL is used to explore Claire’s inner workings—that even includes the wintry Ozarks setting. The water metaphor is employed frequently in psychological thrillers to represent the subconscious, and here is incorporated in the form of a brutal ice storm (that represents Claire’s “frozen” inner state). The attempt to untangle what is real from what is unreal (another frequently-used aspect of the psychological thriller) also begins to highlight the extent to which Claire was hurt in that Chicago alley. Even the explanation of the odd occurrences in the town of Peculiar offers an exploration into and portrait of Claire’s psyche. Ultimately, FERAL is a book about recovering from violence—that’s not just a lengthy or hard process; it’s a terrifying process, too. The classic psychological thriller allowed me to explore that frightening process in detail. Slade, like Wild and Ridge, is a standalone. 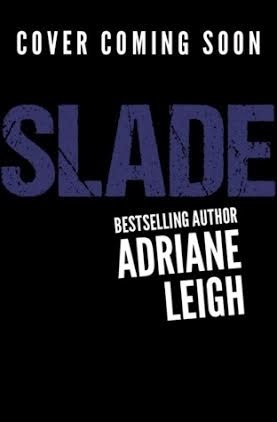 Reading Wild and Ridge first will provide some back story, but is not required to read Slade. Displaying RIDGE Release Blitz PACKET.docx. We are currently seeking short stories in the Young Adult and New Adult categories (all genres) that feature unusual superstitions or traditions. On the first day of every month thousands of people say “White Rabbit”, “Rabbit”, or “bunny” three times to grant luck throughout the month, even to this day. While this odd ritual could be considered either superstition or tradition it has been honored by many families for centuries. Even famous presidents of the Unite States have admitted to honoring the superstition/tradition. Wall Street men say it for financial luck, knights in Europe for health and of course, everyday people like you and me. As the idea spread the reasoning behind the idea changed to the point where now many children in traditional families say it without understanding why (only knowing that good will come) and as the habit continues through generations the meaning is further skewed. This unusual phenomenon sparked an idea. Superstitions and traditions are common place but not necessarily noticed because we’ve grown so accustomed to them. So what would happen if a superstition or tradition went wrong? What if a pact had been made and as a tradition was broken that pact was broken too? What if supernatural creatures or children in the future had their own strange traditions? How strange could traditions truly get before it seemed out of place to the people doing them? History changes like a childhood whispered game of telephone but what fascinating traditions should be listened to and which were meant to one day be broken? White Rabbit started out as an unusual fixation and became a phenomenon. Featured in stories throughout the ages in many cases a white rabbit even became a sign of good luck or innocence. We hope to honor the strange tradition (with a bit of luck) and put together a novel featuring the unusual and unique from names both new and old. 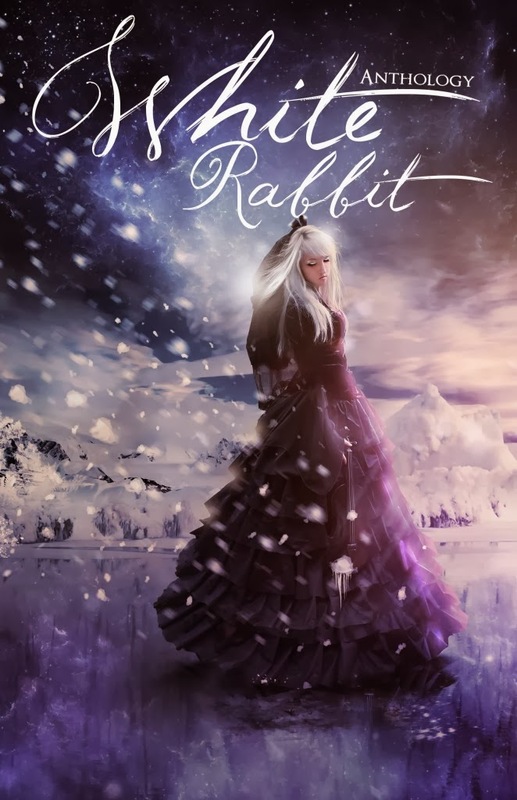 If you would like to submit a short story for inclusion please e-mail your completed work to Submissions@HallowedInkPress.com with ‘White Rabbit Anthology’ in the title. We ask that you send the finished story inside of the e-mail – not attached – along with a short summary of the work and biography at the top. We will not respond to queries that do not include the completed short story. Cover not final: Author names will be added to the cover after authors have been selected and signed on. August 1st though submissions will be reviewed as they are submitted. Once the slots are full the open call has the possibility of closing early. The superstitions or traditions used do not have to be accurate and can be fictitious. We are more fascinated with the concept of unusual traditions and superstitions than factual accuracy. We do not plan on being very strict in this regard. We are more focused on quality than length. We would, however, suggest that all stories be in the 2,000 – 10,000 word range. Any including and not limited to historical, modern and futuristic. This is a royalty based anthology. All authors will be given a percentage of the earnings though no advance. This anthology will be released in both ebook and paperback. Ebook cards may also be added overtime along with other formats. We have an in house editor and copy editors.